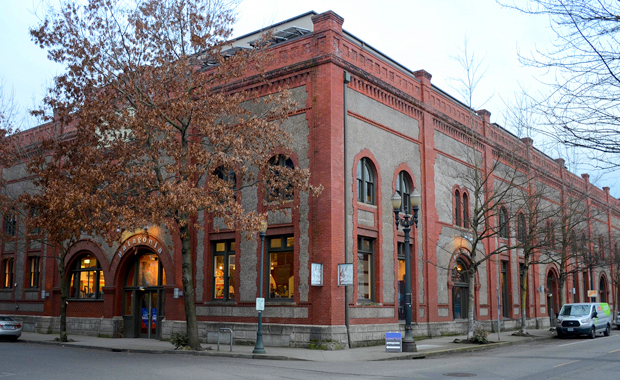 The Natural Capital Center, located in Portland, Oregon’s Pearl District, is a leading example of historic restoration combined with high environmental building standards. 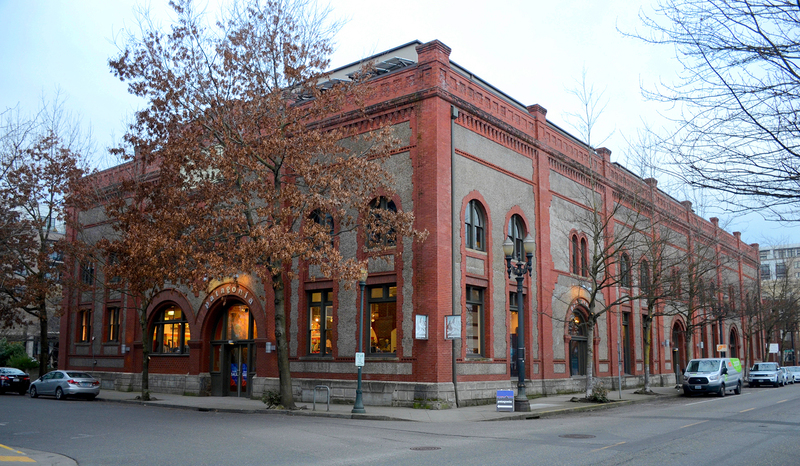 Completed in 2001, it’s the first Gold-rated Leadership in Energy and Environmental Design (LEED) historic renovation in the nation and is known as a jumping-off point for Portland’s green-building movement. NNA Landscape Architecture assisted the project architect in designing and implementing one of Portland's earliest examples of urban stormwater management. All stormwater runoff from the building’s rooftop and parking lot is captured, cleansed and infiltrated in a series of landscape bioswales. The native plantings, designed to adapt to difficult urban conditions, continue to perform well. Espaliered apples form the entry to the building, serving as a reminder to visitors that food grown in the city should be healthy enough to eat.